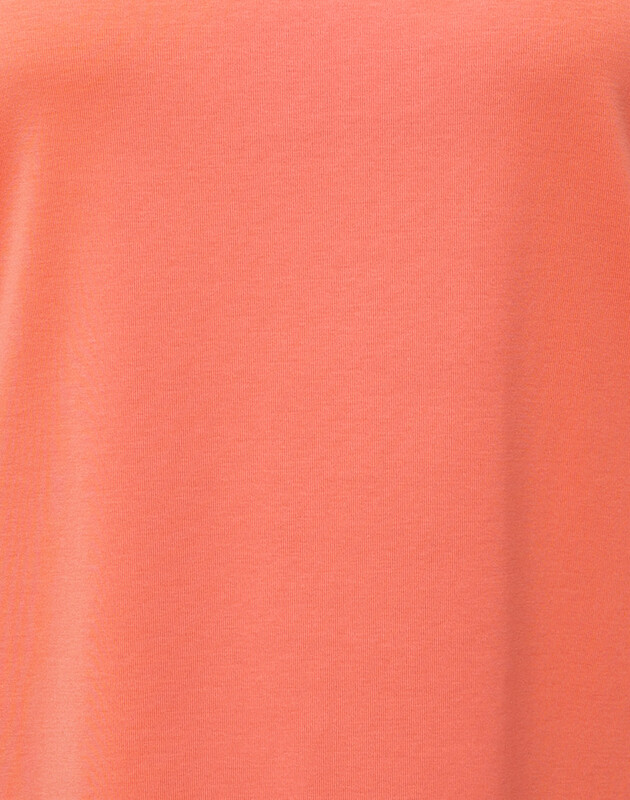 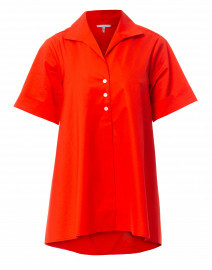 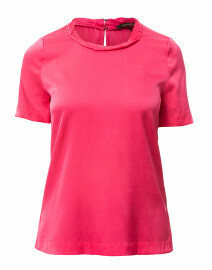 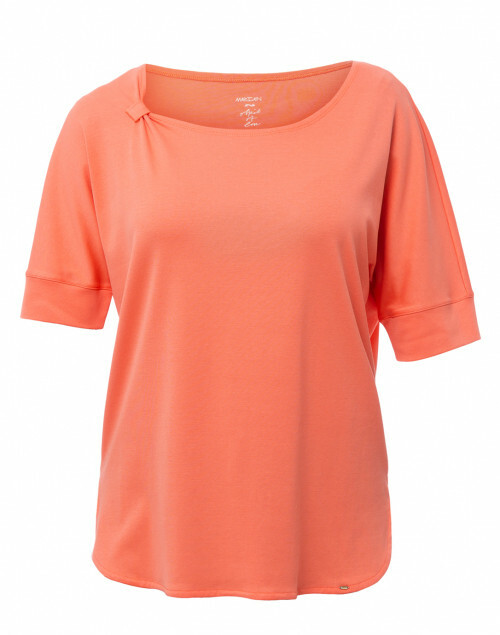 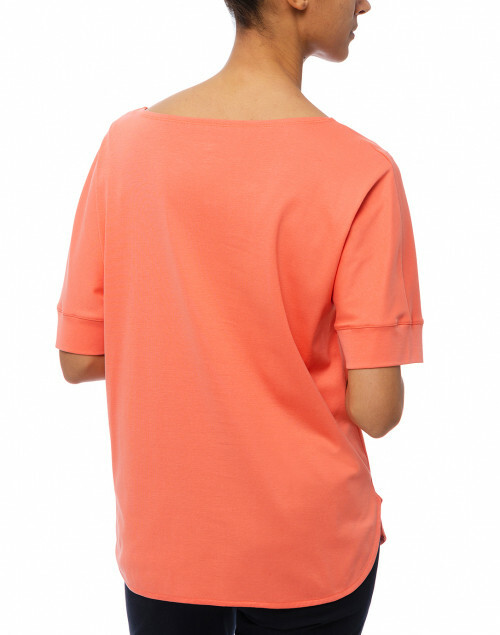 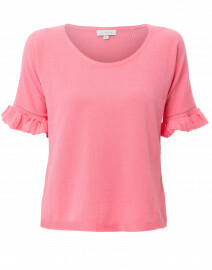 Marc Cain's coral tee is an elevated version of a versatile wardrobe essential. 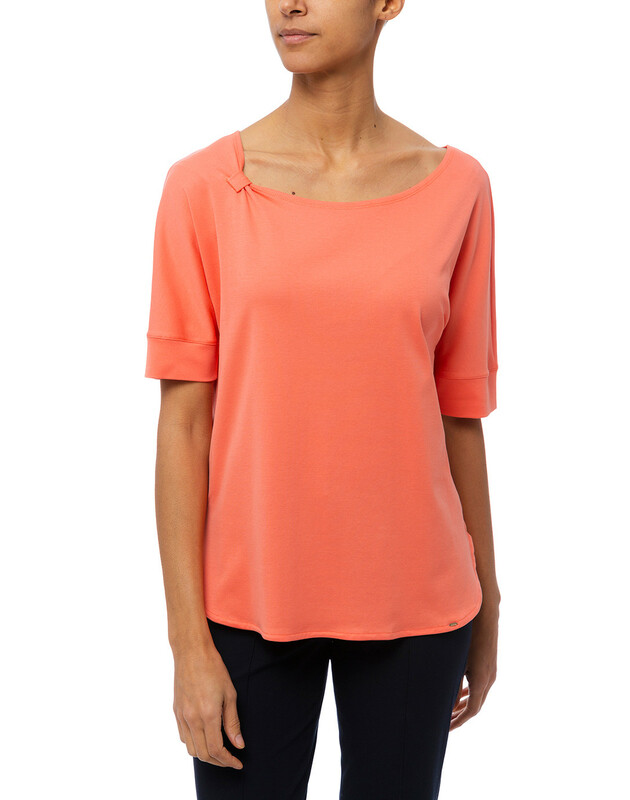 It's cut from lightweight stretch cotton fabric, and features short sleeves and a scoop neckline with a knot detail. 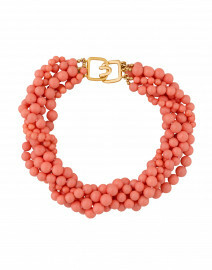 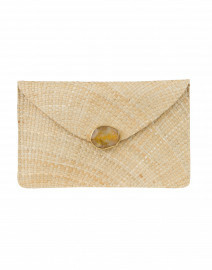 Wear it with slim pants for a go-anywhere ensemble. Length 23" 24" 24" 24" 24.5" 25"
Shoulder Width 16" 17" 18" 19" 20" 21"
Bust 39" 40" 42" 44" 46" 48"
Waist 36" 37" 39" 40" 42" 44"
Hip 37" 38" 40" 42" 43" 45"
Sleeve Length 12.5" 13" 13" 13" 13" 13"
Slit Length 3" 3" 3" 3" 3" 3"